Members of the Connect 44 Team held their second meeting on Thursday, October 11, 2018. During that meeting they focused on developing a new mission and vision statement for the district and began mapping out strategic objectives in achievement of four goal areas. 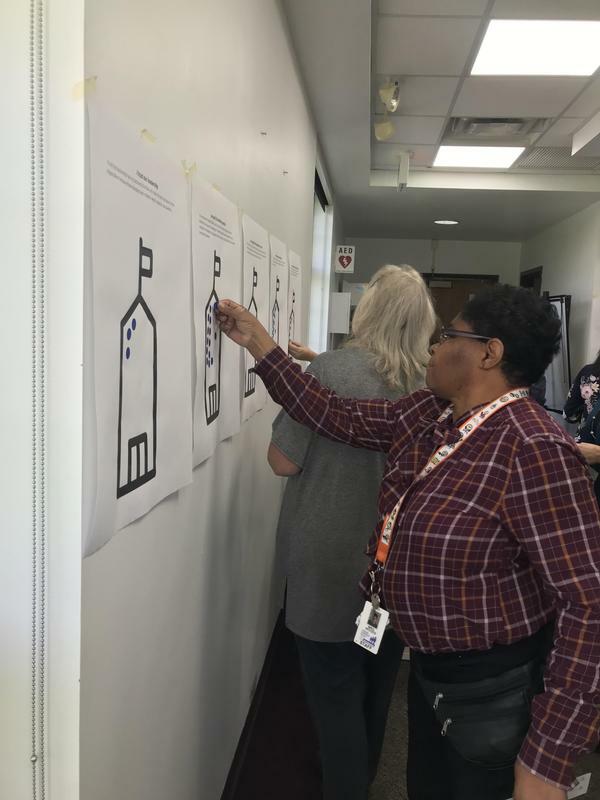 A 44-person team that is representative of stakeholders from throughout the community came together Thursday to begin developing a new mission and vision statement for Lombard District 44. This work took place during the second meeting of the Connect 44 Strategic Planning Process. An additional three meetings have already been scheduled for the months of November, December and January in order to complete this critical work. During their time together, the team focused on answering key questions tied to the district's roots (its mission) and future direction (its vision). These answers will be developed into the new statements that will exist within the final strategic plan. This activity directly followed several critical conversations tied to the change the district has recently experienced as well as the change that will occur as the school community begins to move forward in achievement of this new vision for Lombard schools. Superintendent Ted Stec spoke to the team about the importance of recognizing what has occurred while also outlining the necessary next steps in order to move forward in a collaborative way. In addition to these elements, the team came to agreement on several items that will serve as the starting framework to the new plan, most notably determining four priority goal areas and outlining strategic objectives directly tied to these goal areas. More information and communication will directly follow next month's Connect 44 meeting.